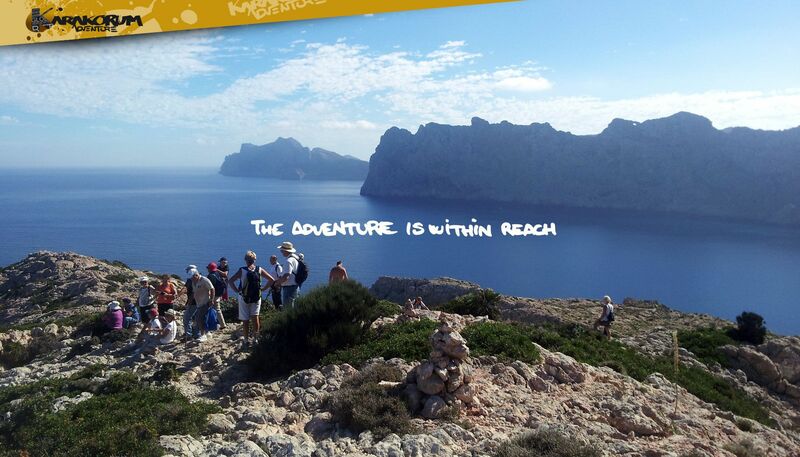 Here you can download our adventure activity catalogue for Mallorca with all the information you need to prepare your most exciting holiday. Check here dates and availability for the next packages organized by KARAKORUM ADVENTURE. Discover the Balearic Island gastronomy with our wonderful picnics. We have several activities as hiking, kayak, mountain bike, canyoning,… which include this picnic with fresh and typical products, bought directly from the market. We also have some help and the supervision from our home expert “la mama” who gives that personal touch with love and makes us different from the rest. You will find Mahones cheese, daily bread, wine from Binissalem, sobrasada, tumbet, coca de trampo, crespells, panades and many more to enjoy your day in the mountain. 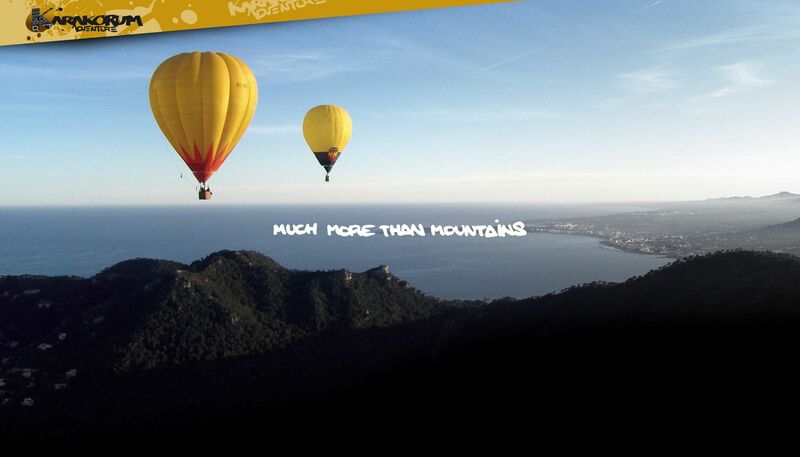 Mallorca possesses thousands of magical and inhabitable corners, rich in history which only an island guide can show you and explain it to you in the best way. All activities end well thanks to accident prevention and security, that is why we are continually training, recycling our knowledge in the best Spanish and Pyrenees mountain schools. The satisfaction of our clients is our quality mark, for this reason we want you to have the best experience in Mallorca with a made to measure adventure which will live up to your expectations. 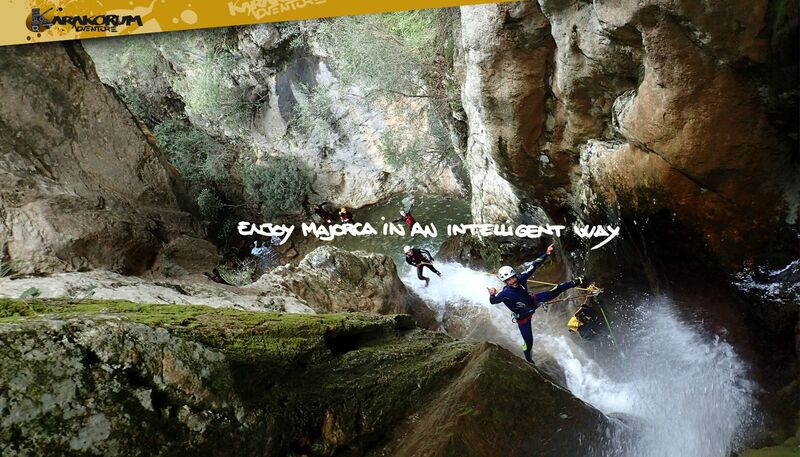 Canyoning, climbing, hiking, hot-air balloon, coasteering, incentives, mountain bike, kayak, training, adventure trips and active tourism, everything is possible with us, you just let us know what you would like and we will offer you an option. We work with very qualified staff with languages for all our specializations (qualified mountain guides, accident insurances and RC and all kind of necessary licenses). 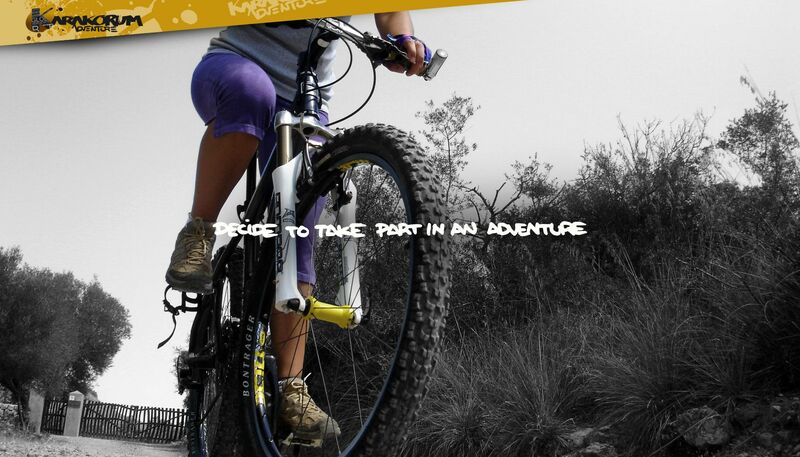 Do not hesitate, Karakorum Adventure is the best choice for your adventure activity.